Are you in a relationship with someone who has expressed interest in “opening the relationship?” Maybe you are the one dissatisfied with monogamy? Have you been thinking about polyamory as a lifestyle, but don’t know how where to start? Have you recently started dating someone you are very interested in, only to hear them say “I’m not interested in a monogamous relationship,” and you don’t know what to make of it? If so, this book is for you. 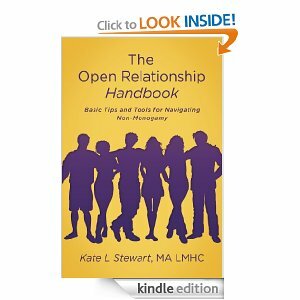 The Open Relationships Handbook is an introduction to the most common types of open relationships: swinging, non-monogamy, and polyamory. In this book, we’ll cover definitions, important questions, and things to keep in mind in deciding what shape your love life will take, and how to negotiate changes with your partner.